Exercises of mass casuality incidents (MCI) to date lack methodological considerations about training interventions. A particular desideratum is the generation of learning-oriented feedback in debriefings. 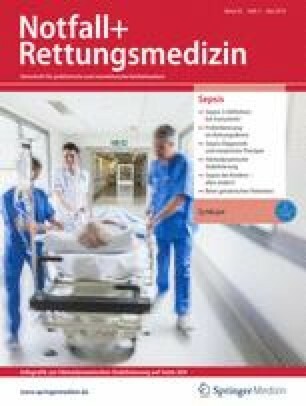 The (German) questionnaire for tactical assessment of MCI exercises (dimensions/scales: resource allocation, goal orientation, and stress management) is applied to an exemplary case (rescue service operations, MCI 500, N = 146). The assessment strategy utilizes (simple) measures of location and dispersion for the obtained scale values across operational units in the realized emergency response organization. The proposed assessment strategy revealed distinct problems in the analyzed emergency response organization, for example, lack of inclusion of operational clusters, goal conflicts, and information overload. The results converge with other findings related to that case. The exemplary case shows that feedback as a prerequisite for social reflection and validation of experience is feasible by relatively simple means using the scales of the questionnaire. More research, however, is required with regard to the scales as a valid operational definition of tactical dimensions. This requires large sample sizes and a coordinated, domain-wide effort. M. Schütte und F. Hartart geben an, dass kein Interessenkonflikt besteht.